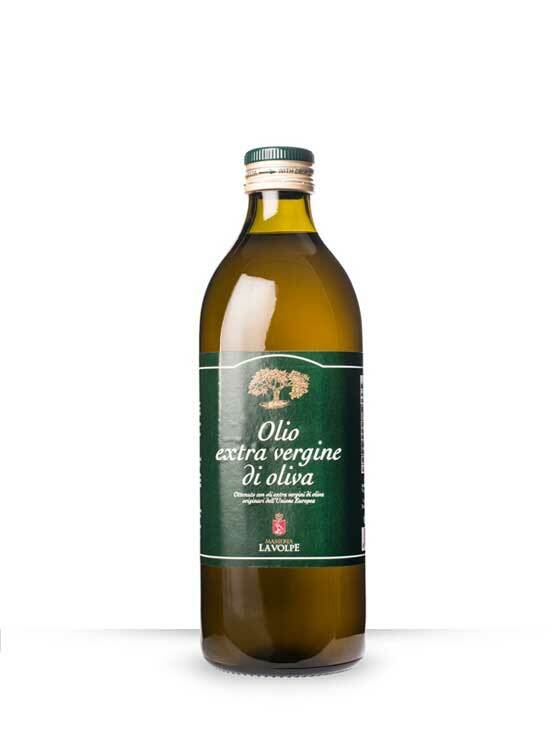 The extra vergin olive oil Masseria La Volpe is the result of a careful and wise selection of the best oils coming from the most important olive groves of the European Community. The balance between fragrance and the taste of oils made from several carefully selected olive varieties, along with wisdom and passion, results in a kind of extremely balanced organoleptic oil, with full-bodied flavor. This olive oil is defined by clear yellow-green color, fine and agreeable fragrance, and delicate green notes and soft and pleasant taste. This harmonious and balanced oil is ideal for the everyday cooking and versatile, as it can be used raw as a dressing or for cooking. Its soft and sweet taste makes it the ideal dressing for dishes that require a delicate flavoring, through which the original flavor of the food is enhanced and not cover. Very good for the preparation of sauces, to cook meat meals or light side dishes and to crude dress fish and vegetables. Very steady at high temperatures, it can also be used to fry and to prepare dishes that require long cooking times.